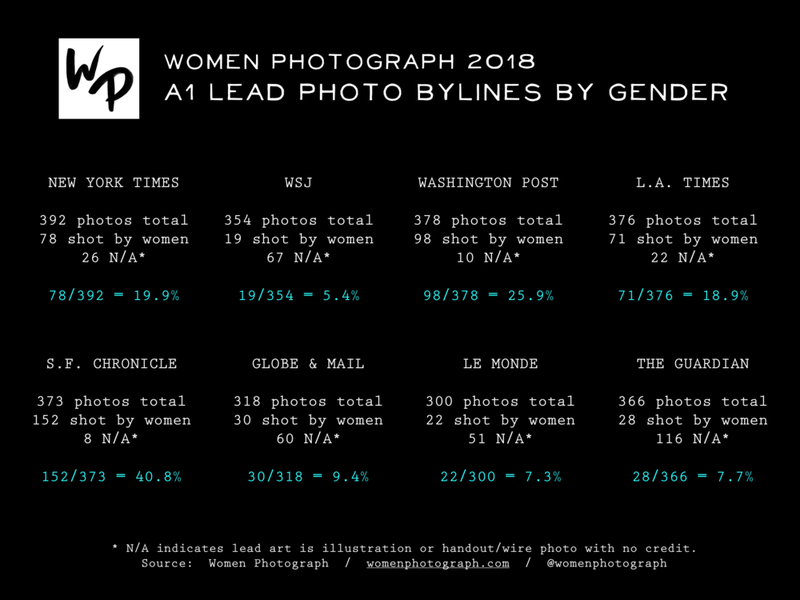 Women Photograph keeps track of a number of data sets to analyze the ways in which women photographers are hired and published in the photojournalism industry. 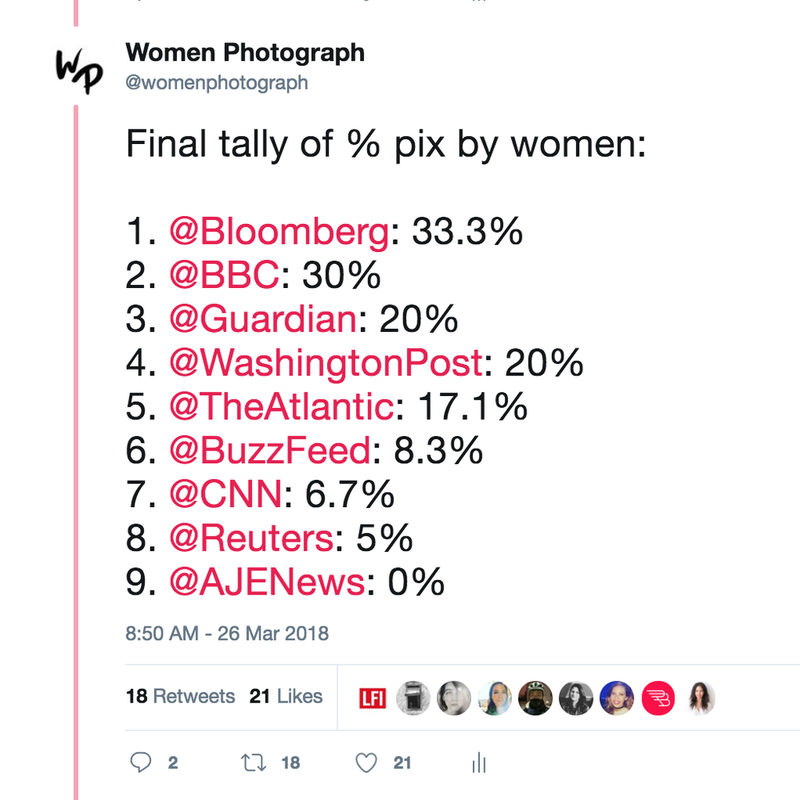 The below information is available for academic and journalistic use, please make sure you source Women Photograph. If you would like to support the data collection team and all the work they do, you can donate here. Every Monday, we look at the gender makeup of a variety of “Photos of the Week” slideshows. 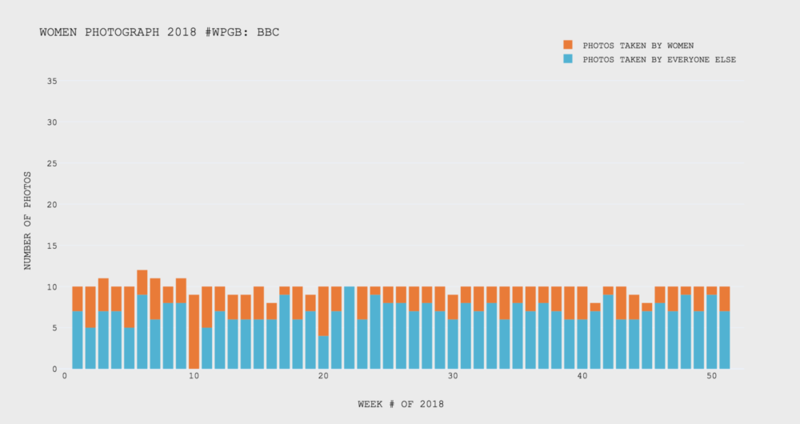 You can follow along on Twitter (search the hashtag #WPGB), and access the full spreadsheet of data from 2018 here. At the end of every year, news outlets compile galleries of their favorite images from that year. — See the full spreadsheet here. — See the full Twitter thread here.